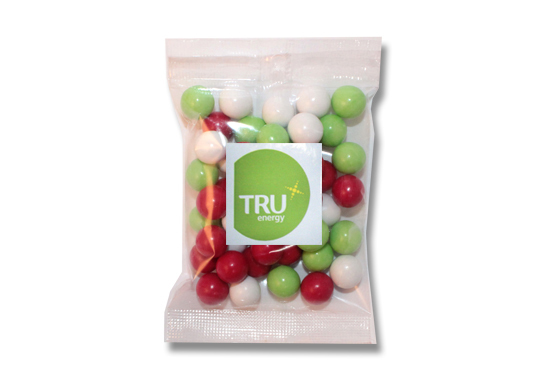 Grab this promotional Christmas Choc Balls 50g Bag and brand it up with your team logo. Now that’s got serious impact. Wonderful and absolutely stunning, our promotional Christmas Choc Balls 50g Bag is a win hands down on your year-end marketing exercise. Make sure that you’ve got them on any of your occasions such as Christmas parties and trade events to be given away as a way of advertising and as a treat at the same time. We at Fast Confectionery guarantee you that your business will not just be noticed but be positively remembered by everyone. 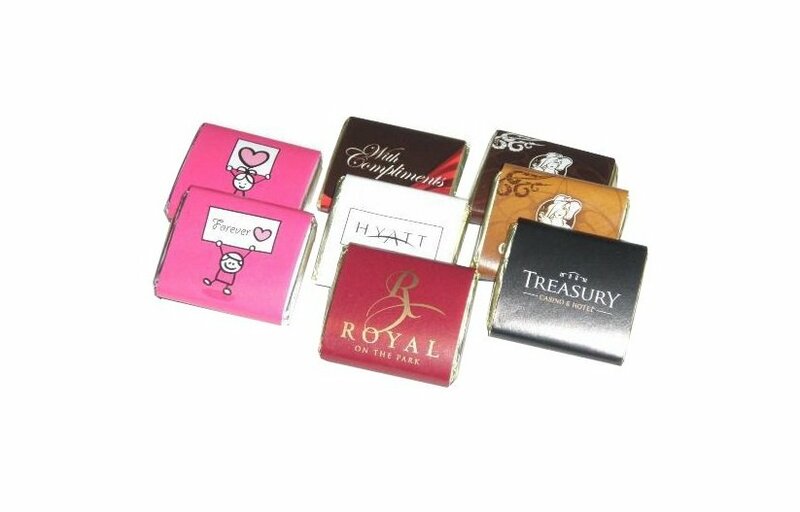 These little packets of delight are remarkable to help your brand gain more instant popularity. Since these mouth-watering knick-knacks of red, white, and green are made from only the first-rate materials, people would seriously nibble them off in just minutes and they would end up wanting more. With the lavish chocolate inside and delectably sweet candy shell on the outside, our customised Christmas Choc Balls 50g Bag is certified delicious and rad! So ensure everybody gets at least one of these and you are well under way to your company’s success! This personalised Christmas Choc Balls 50g Bag is so captivating it has the power to win people’s hearts. 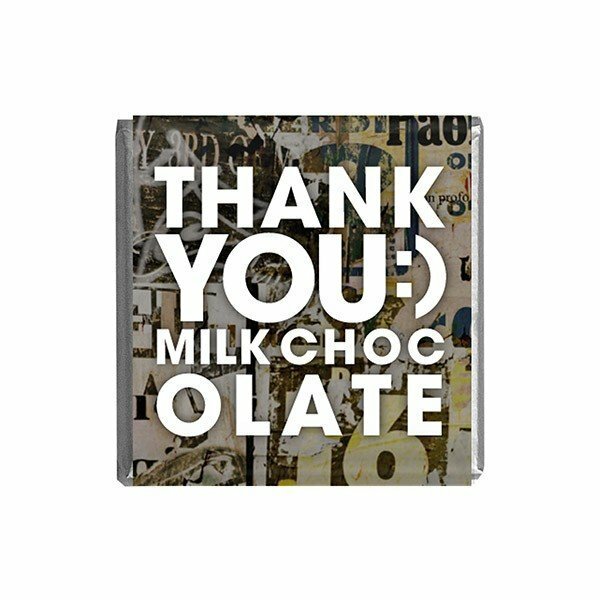 Because of its lovable attributes, it’s a great way to have your corporate logo exhibited! You can add it on each of its full colour stickers to be fixed on top of each cello bags. Anybody eyeing these lot of succulence will also unfailingly catch your brand. 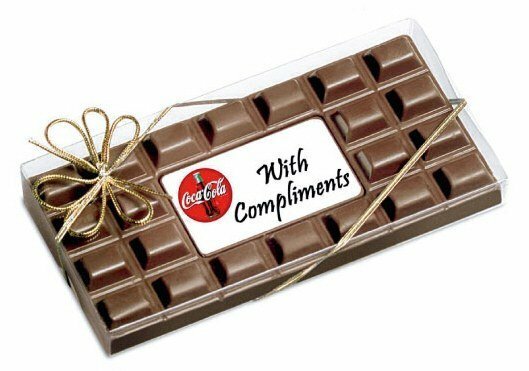 These customisable goodies of ours don’t just come in 50 gram packs but in numerous other options just like promotional Christmas Choc Balls Hexagonal Jar and the custom Christmas Choc Balls Milk Bottle which are perfect should you want a wider variety for your giveaways. What more about our confectionery choices, is that we know that they are better partnered with wearable merchandise, so try to have a look at custom embroidered Five Panel Camouflage Mesh Cap which also make excellent presents this season! With superior customer service, we are happy to assist you with your promotion! Write to us via live chat or give us a call at 1300 008 300! Hope to talk to you soon!